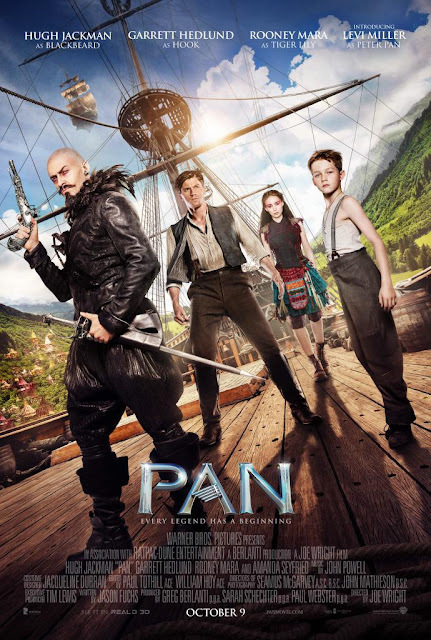 Chrichton's World: Review Pan (2015): A magical and beautiful film that is not deserving of the hate it is getting! Review Pan (2015): A magical and beautiful film that is not deserving of the hate it is getting! For some reason people seem to be hating this film a lot. Very disproportionate if you ask me since I had an incredible good time watching it. In fact I did not get bored once. Pan moves it's tale in an extremely fast pace. Not a second is wasted. Basically Pan rolls you from one event to another but with a a good amount of essential context given to these events and the characters who matter. Because of this most scenes do have a purpose and aren't just filler content. Naturally does Pan offer some over the top visuals and effects but tell me how else are you going to convince the people that Neverland is unlike our world. It makes perfect sense to me to be a little extravagant. Neverland is supposed to be a place you would never would want to leave from. Besides there has to be a big contrast when Peter is concerned. The orphanage he comes from is a horrible place where the nuns are plain evil. Speaking of Peter. You already get to know what Peter is about in the introduction and you like him from that moment on. Levi Miller did an excellent job of playing him. Now I do understand why some people might have some trouble accepting the story Pan is telling. Some elements of the story we know have been changed. Instead of Peter Pan having Hook as adversary we get introduced to Captain Blackbeard played by Hugh Jackman. You will hardly recognize him since he has been made quite ugly for his role. This is the second time Hugh has gone to lengths to make himself as unattractive as possible. 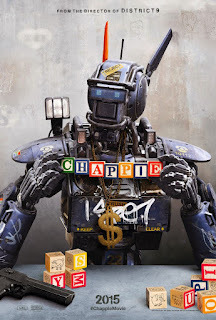 First time he did this was in Chappie. But like in that film he is an excellent villain. This does not mean however that James Hook is out of the picture. He is very much present and becomes friends with Peter. And this puts a nice little twist on things because we know they will have a big falling out in future with consequence that Hook will lose one of his hands and that they will become enemies. You will be constantly wondering when that moment will come and whether you like it or not it does make their friendship a compelling one. In hindsight though I do think that Pan does not stray from the original story that much. It more serves as an alternative prequel to the story we are very familiar with. And what is wrong with that? At least this film tries to add to the experience instead of rehashing the older story. The end result is still the same. You will feel very good at the end plus you will finally have been given a good explanation where The Lost Boys come from.